Minoru Onoda is best known as a member of Gutai, Japan’s first postwar radical artistic movement, which challenged what it saw as the rigid, reactionary ideologies of the art of the time and initiated new ones that redefined the relationships among matter, time, and space. Concurrently to the inception of Gutai, Onoda became enchanted by concepts of repetition, producing paintings and drawings with amalgamations of gradually increasing dots and organically growing shapes. But less is known in the West about Onoda’s early and late-career work. 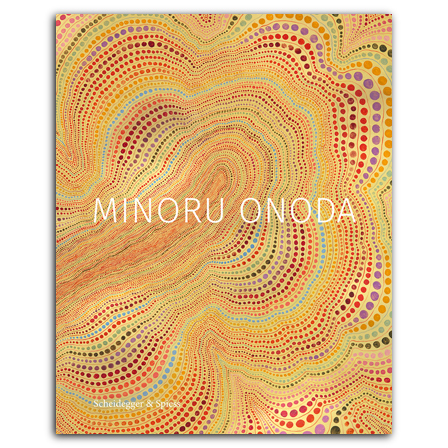 At long last, this first-ever full monograph on Minoru Onoda introduces him as an artist in his own right. Apart from his role with Gutai, the book mines Onoda’s sketchbooks and completed works to explore his creative process over time, from his artistic education in the late 1950s at the Osaka Institute of Fine Arts and the Osaka School of Art to his later works following the 1972 disbanding of Gutai, which see the artist moving toward a monochrome and more conceptual style. Alongside critical essays by Edward M. Gómez, Astrid Handa-Gagnard, Shoichi Hirai, Koichi Kawasaki, and Takesada Matsutani, are 175 full-color illustrations. ist Kunsthistoriker, Kritiker, Grafikdesigner und Kurator sowie Chefredaktor des in Grossbritannien erscheinenden Kunstmagazins Raw Vision. ist Kunsthistorikerin und Kuratorin sowie Direktorin des FRAC Bourgogne in Dijon. ist Kunsthistoriker und Professor an der Kansai University in Osaka. ist Kunsthistoriker und Professor an der Konan Women's University in Kobe. , born 1937, is a Japanese painter, sculptor, and printmaker belonging to the second-generation group of Gutai artists. established her art gallery in Basel in 2008, where she features minimal, geometrical abstraction, non-objective and, conceptual art.